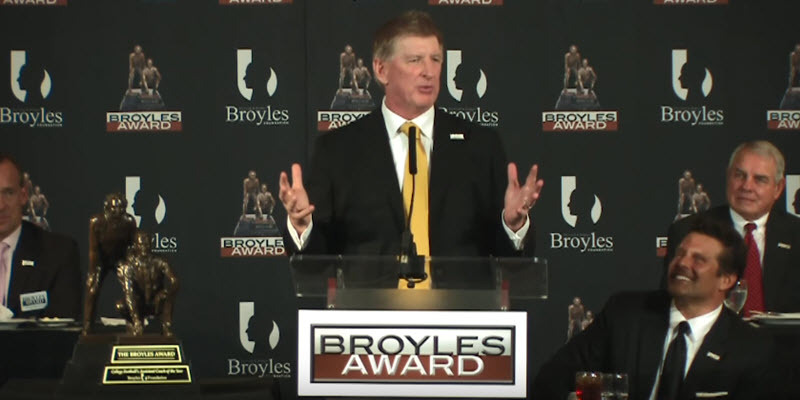 As you see in the top photo, Leavitt was a finalist for the Broyles Award for the nation’s top assistant coach in 2016. I made a big deal of the Oregon defense holding opponents to 23.7 points per game in 2014, but Colorado held opponents to only 20.5 points per game this last season. Imagine a defense like that paired up with a usual Oregon offense scoring 43 to 46 points per game on average? That equates to a ton of winning my friends! The defensive coordinator for San Francisco at the time was defensive guru Vic Fangio, who has gone on to become the DC for the Chicago Bears. I can only imagine what a tremendous learning experience that would be to have Vic Fangio and Patrick Willis in the defensive meetings at the same time. As if the NFL experience was not enough? 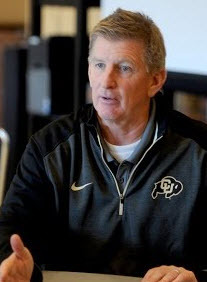 Coach Leavitt tutored under legendary coach Bill Snyder at Kansas State and was Co-Defensive Coordinator with future Oklahoma Head Coach Bob Stoops. This pedigree and experience mixed with real results in our very conference is why Oregon is paying the large salary for his services. His expertise and Oregon’s defensive needs are an ideal match for the fans of my beloved Ducks! The Grizzled Ol’ Coach pointed out that the strength of the Buffaloes defense was in the secondary, and they performed at the highest level in the pressured third-down situations. “Colorado was good at getting teams to third down, and then getting them off the field with excellent pass defense.” I remember quite a few instructional videos from the Pac-12 Network’s Final Report on the elite skills of the corners and safeties for the ‘Buffs, and how they made key game-changing plays through the conference schedule. 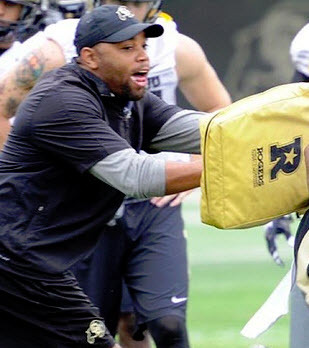 A key coach in that Colorado secondary is Charles Clark, who is being reported by Duck Territory 24/7 as on the verge of signing a contract with Oregon. Coach Morris recounted how Head Coach Mike MacIntyre was an expert at teaching press coverage at Colorado and Clark’s defenders became very skilled at this difficult technique (one the Ducks struggled with BTW). Time and again the secondary bailed out the ‘Buffs, and the charismatic and energetic young coach who taught them every day is now being wooed to strengthen the skills of Oregon’s defensive backs. GOC felt this would be a big hire if the Ducks could pull him from Bolder. Watching the Cougars of Washington State this last fall left me angry at how their defensive line overachieved with hustle and tremendous technique. Meanwhile, I was busy pointing out the poor technique of our own players in Pullman this fall. 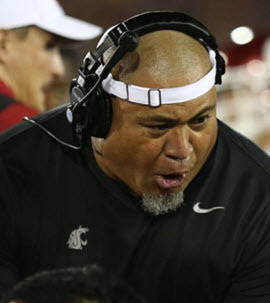 Coach Morris told me many times through the season how the Wazzu d-line (ever since Joe Salave’a took over) is fundamentally sound, and how their motors never quit running. Even more remarkable is how the Cougar defensive linemen has been the most consistently superior to their conference opponents, even without the high four-five star D-Line recruiting. Oregon learned that all too well this season. If Salave’a joins the fold in Eugene? We may see immediate benefits on the recruiting trail and on the field this next fall. My duck feathers are fluttering at the thought of it! C’mon Willie! Make it happen! Now you can understand why the claims of the Grizzled Ol’ Coach about this potentially being a defensive coaches “dream team” are not hyperbole, as I begin to fantasize what a decent defense could do for this football team. Yes, I’m getting hyped before results, but a fan’s gotta dream doesn’t he? Don’t forget to thank retired Coach Mike Morris for getting us all revved up with the possibilities that Coach Willie Taggart is working on. Oh how I love to learn more about our beloved Ducks!